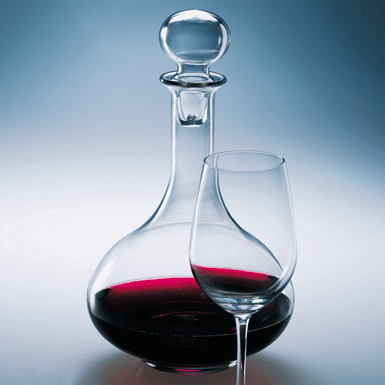 A fine example of a perfectly-shaped decanter. Exactly 7 dl wine fit in the decanter. (Stopper included, not airtight).